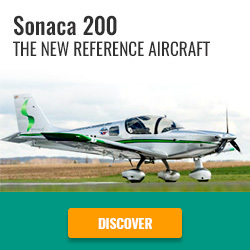 Do you like the New Sonaca 200 Trainer Pro? Sonaca Aircraft installs BendixKing’s attitude indicator, the AeroFlight KI 300 for their Sonaca 200 Trainer Pro aircraft. Press conference Aero Friedrichshafen 2019 on our stand Sonaca Aircraft to present the improvements and the latest news ! We are pleased to welcome you at Aero Friedrichshafen 2019 to present you the S200 Trainer from Air Academy New CAG and the S200 Trainer Pro ! Another successful maiden flight for the production team, probably the best way to start the weekend ! Grey, White & blue with an orange touch..... Enjoy your week-end !